GladRags Organic Day Pad provides perfect daytime comfort in pure, absorbent and super-soft organic cotton. It has a unique three part design which allows to customize the absorbency of the pad according to the flow by choosing one or two inserts. 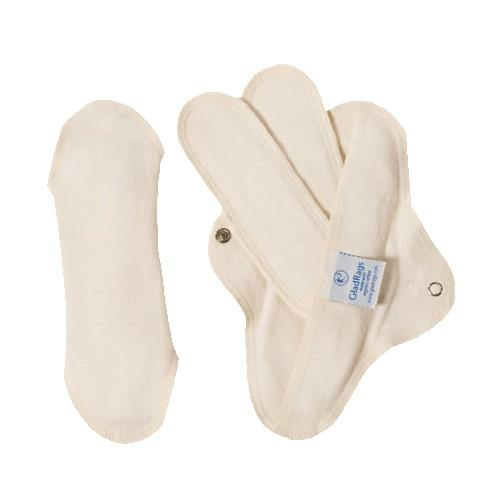 This breathable all-cotton pad is very comfortable are made to last for years.